There have been many wars both just and unjust. My intentions when creating these sculptures is to focus more on the human side of war. Among those that servered in the military the effects are real and undeniable. 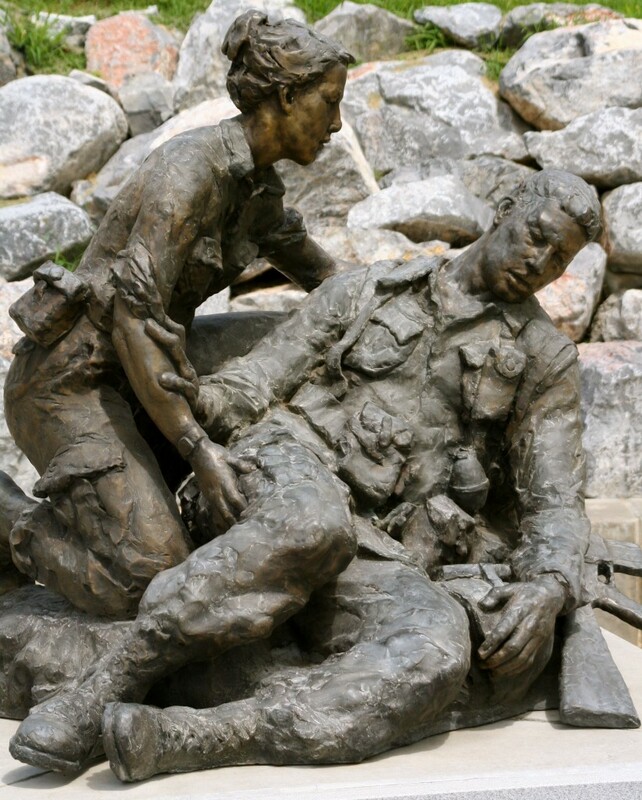 I had many great experiences creating the sculptures I did for veterans memorials. Many of the people I worked with passed not long after these sculptures were created. One story I remember most that they told was during the second wave, one of the vets I knew landed at Normandy. In the surf he saw a German helmut. When he picked it up the name on the inside was the same is his last name.